The rumor mill has proven true this time as Nikon officially announced its new D5100 dSLR today. As the successor to the D5000, the D5100 slots in between the D3100 and D7000 as the upper of the “cheap” Nikons. Expected retail price: $899.95 for the camera and 18-55VR kit lens with a hundred less taking the body-only version. In terms of features, the camera is more a D5000 rewarmed in the microwave than a revolution in design. In fact, many of the specs. on the new 5100 are the same as on the 5000. The major headline feature is that the new camera can now do HD video and has a side (rather than bottom) articulating LCD screen. 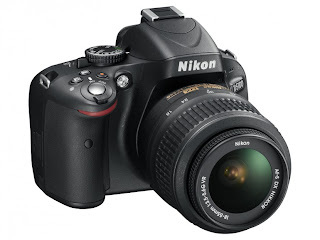 About the only imaging improvement is the addition of Nikon's new 16Mp sensor. So, would I buy the D5100? If I was a casual snapper who wanted a good camera but was not willing to go over $1,000, yes. For serious photographers, just skip this one and go straight to the D7000 or higher for virtually full compatibility with all AI and newer Nikkor optics. After all, there is a lot more to SLR photography than the camera itself. Launched in tandem with the D5100 (and obviously done so to capitalize on the camera's movie making capabilities) is the ME-1 external microphone that fits right into the camera's hot shoe like a flash unit. The kicker: according to Nikon, the microphone is smart enough to know what external sounds (like focusing lenses) are not wanted so it can then block them from being recorded. The ME-1 is also compatible with other video-shooting Nikons and is set to sell for $179.99.